We partner with you to develop a collaborative relationship, understanding your needs, working within your budget and being here to assist year-round. Here at Asphalt Pavement Solutions, we offer a wide range of asphalt-related services to help protect, preserve and beautify your investment! When properly installed and maintained, asphalt can last up to 25 years or more. We can provide a regular asphalt maintenance program as quickly as 90 days after asphalt is installed. Throughout this site, you’ll find information on the many services we provide our customers. 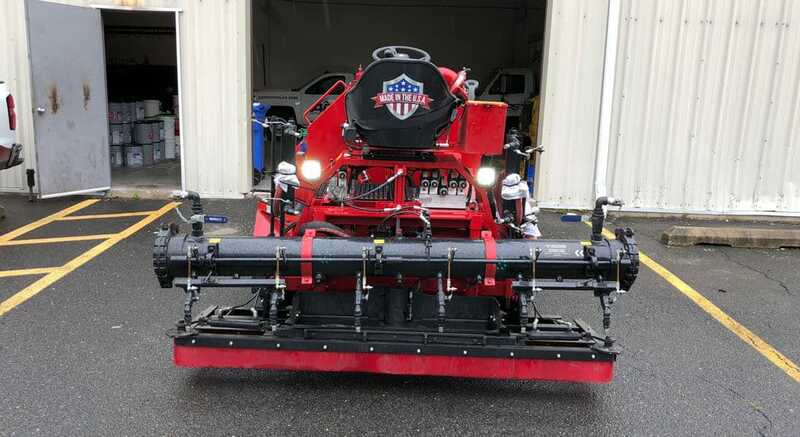 With over 30 years of experience in asphalt sealcoating, parking lot striping, asphalt crack repair, asphalt repair, concrete repair and more, you can trust we’re the best choice for your asphalt project! Whether you need traffic signs, concrete bumpers (wheel stops) or other asphalt maintenance services, you’ve come to the right place! Since 1983, we've been serving our loyal customer base with integrity, on-time performance and high quality work. 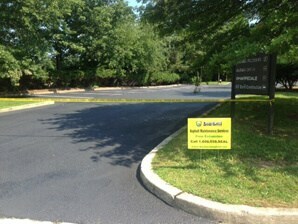 APS is the asphalt company with the answers to all of your parking lot maintenance needs! Make sure you inspect your parking lot areas regularly. If you find any cracks, make sure you contact our professionals to perform Asphalt Crack Repairs. Procrastinating this type of maintenance will only lead to more expensive repairs in the long run. Infrared Asphalt Technology can be used to heat up and blend existing asphalt with added hot mix. The mixture is then raked and compacted to form a seamless restoration, so the potholes or cracks don’t spread or get any wider. By preventing water from entering and weakening the base, this process will help you save both time and money down the road. 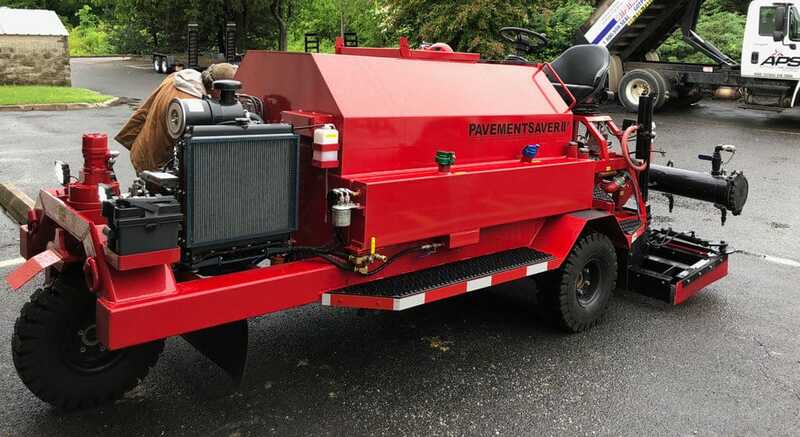 Asphalt Sealcoating will help prevent deterioration and, as a result, extend the lifecycle of your pavement. This process will protect your asphalt from the sun’s ultraviolet rays, as well as stains from dangerous oil and gas leaks. Plus, the smooth surface will require less year-round maintenance and help you save money by preventing costly repairs in the future. 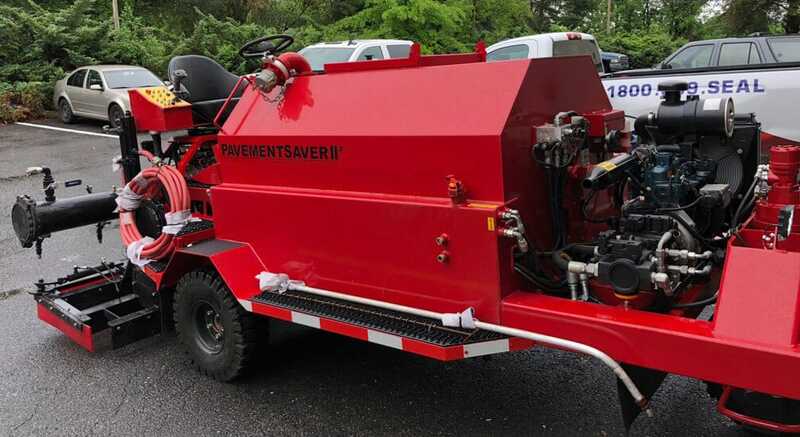 Our CPR Asphalt Rejuvenator will help postpone the need for repaving, and enhance the appearance of pavement during any stage of its lifecycle. By replenishing essential oils that protects the pavement’s resilience and prevents cracking, you’ll keep your parking lot in excellent working condition. The asphalt rejuvenator should be applied once every 3-5 years for the best results. 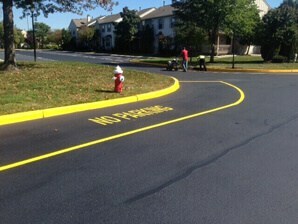 Our Parking Lot Striping services will help you promote a cleaner, more organized parking lot. This will create a more inviting environment, allow for easier navigation and maximize parking. You can trust that we’re aware of city/state regulations, and also use airless sprayers to achieve the sharpest lines possible . By adding clear and concise Traffic Signage at your parking lot, you’ll reduce the risk of accidents for both vehicles and pedestrians. We carry all kinds of traffic signs featuring highly-visible material and fonts, which can be installed via green u channel, galvanized or round posts. Keep your parking lots safe by regulating all traffic activity appropriately. We also perform inlet repairs and concrete repairs for our customers. Contact us today for a Site Evaluation of your parking areas! Asphalt Pavement Solutions approaches each project the same way and always with the same goal in mind: to save customers time and money. First, our professional site engineers, with camera and measuring tools in hand, conduct a physical inventory of the parking lot to develop an accurate plan of repairs and maintenance. Never taking short-cuts, our methods are thorough and include checking catch basins and parking bumpers. If your asphalt base has problems, we can present you with the possible causes and also propose different methods of repairs. No matter if you need asphalt repairs at a shopping center, apartment complex or an office campus, our crew at APS will get the job done right! For a free estimate, fill out a contact form on our website or call 1-856-288-1656 today!